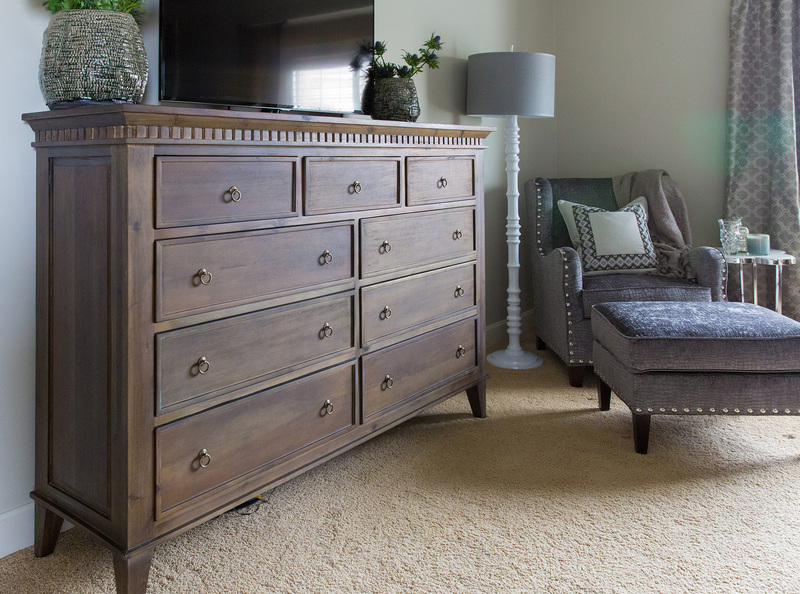 The light finish of the dresser brings lots of storage without overwhelming the room. 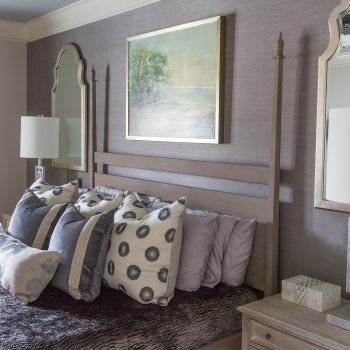 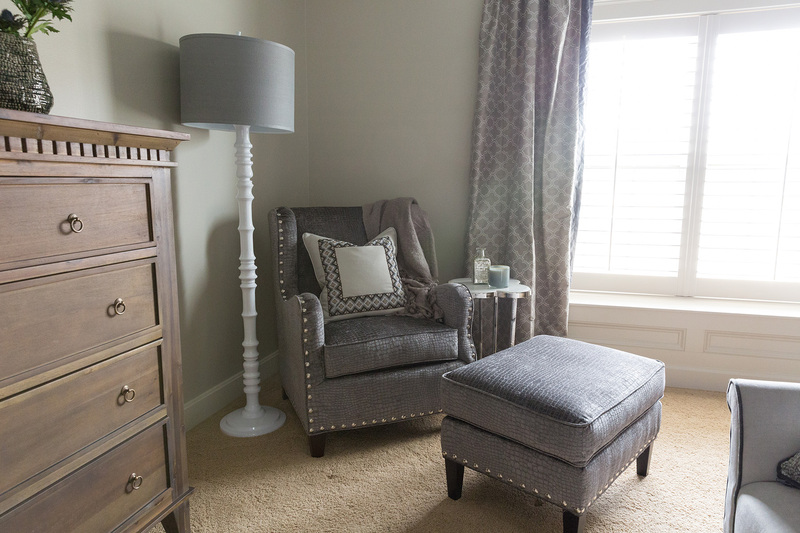 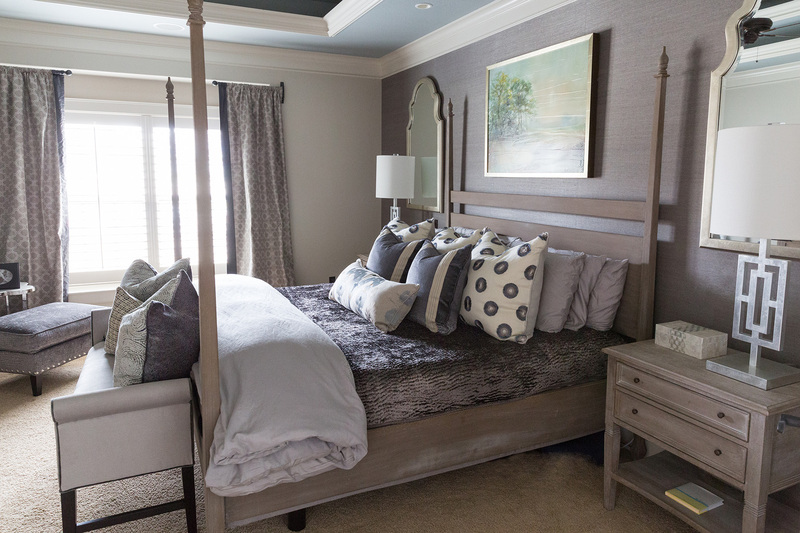 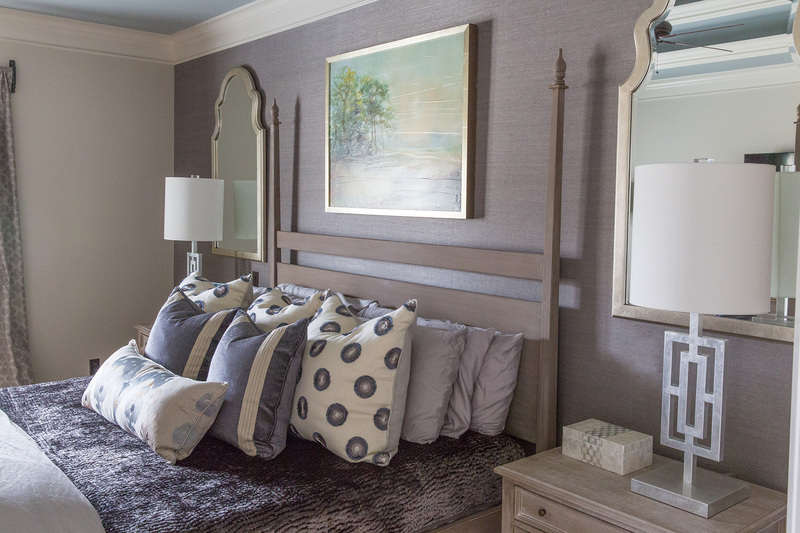 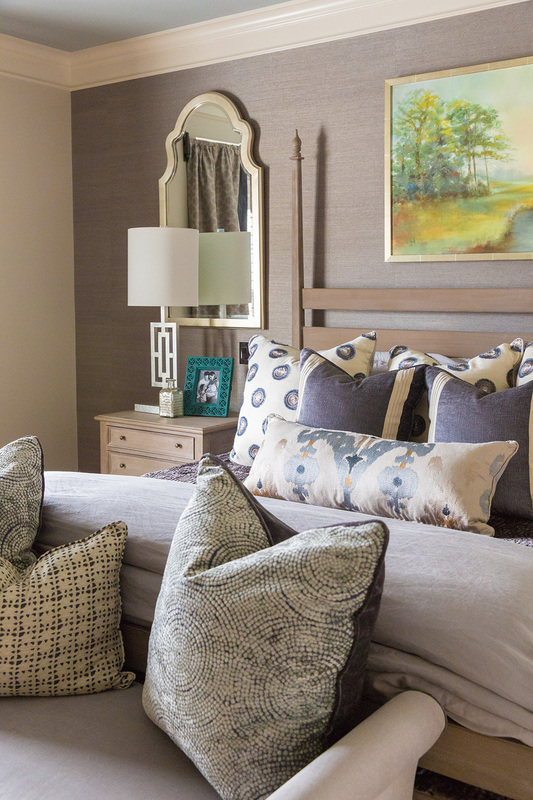 When a busy client came to us wanting to redo her master bedroom, we knew a tranquil escape was just what she needed! 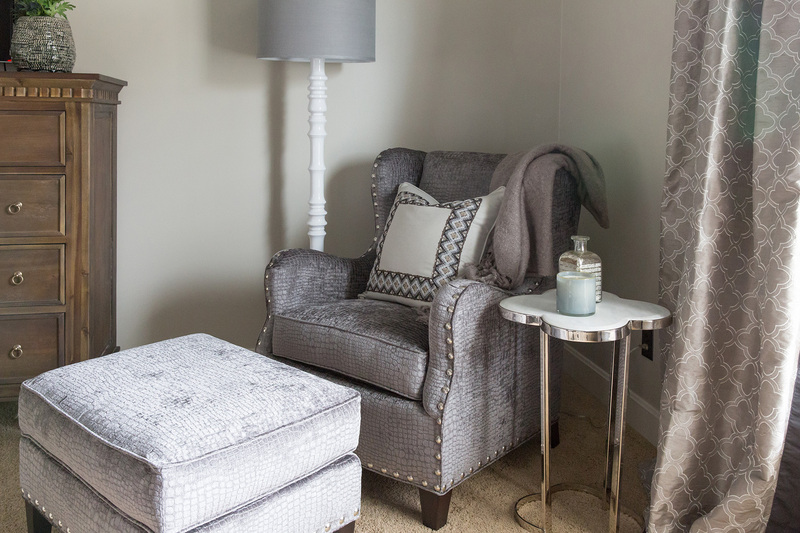 Red walls and heavy furniture made the space feel restricted and aggressive in its previous life. 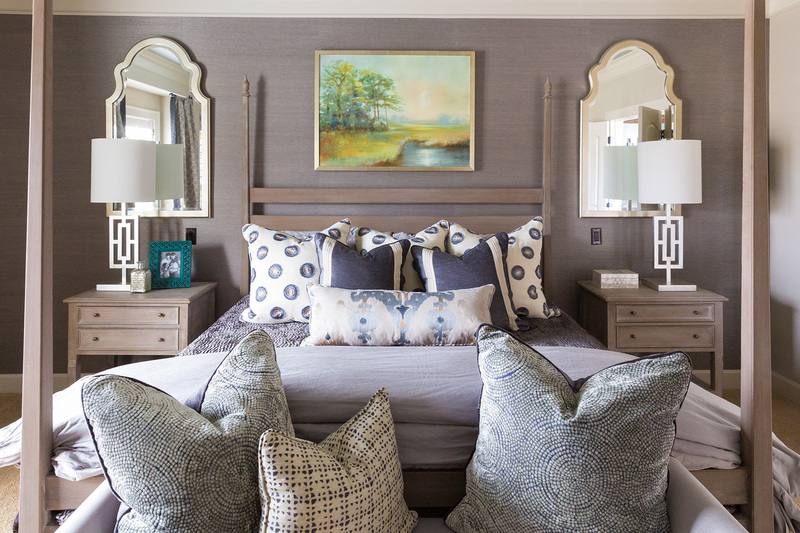 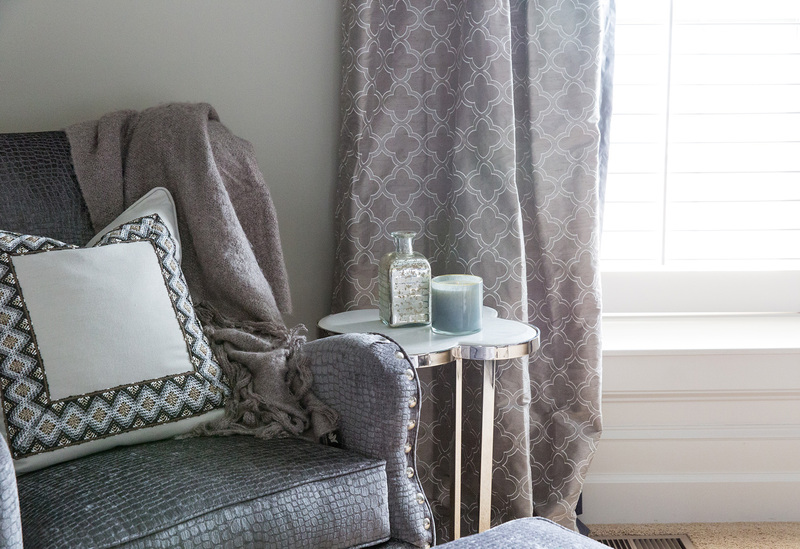 A calming color palette, luxurious textures, and light washed furniture made the space feel airy and relaxing. 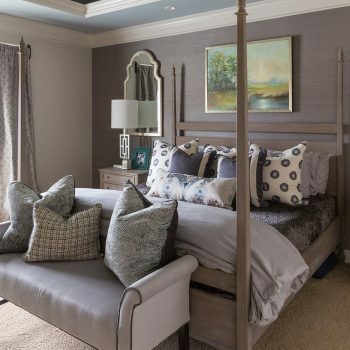 • A four poster bed adds instant drama to a space. 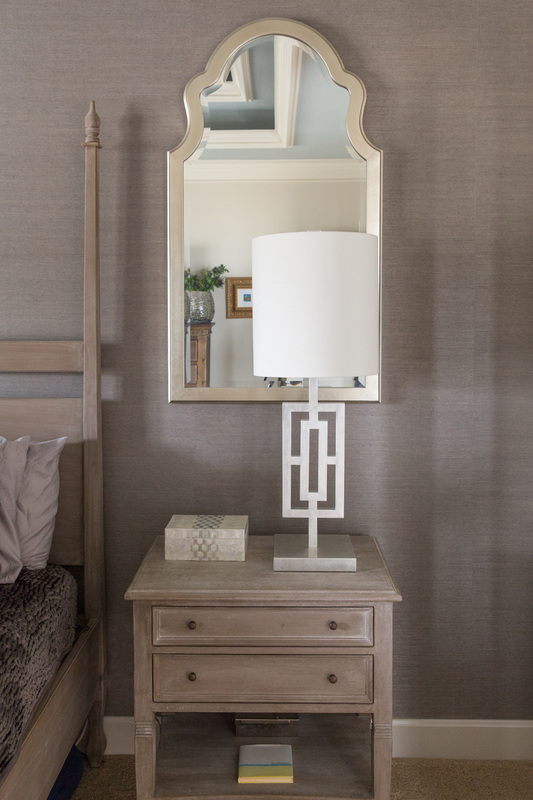 Doing one in a light finish with matching mirrors helps create subtle glamour without feeling too heavy for this ‘airy’ concept. 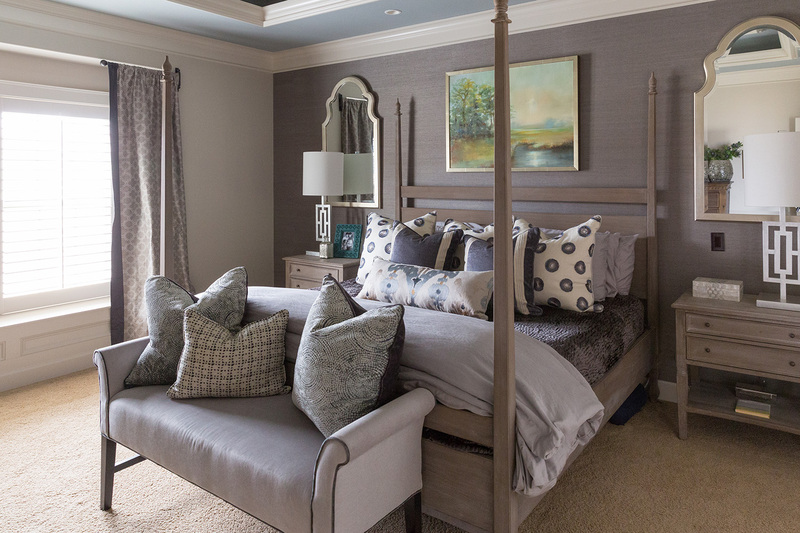 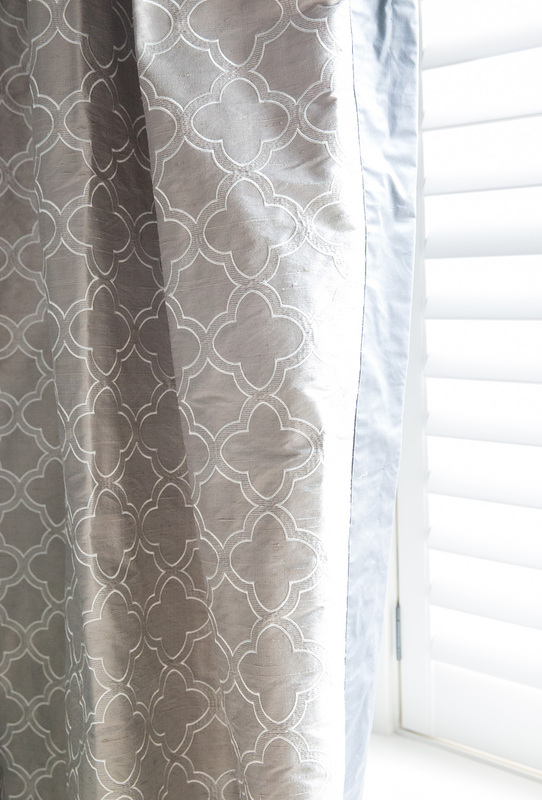 • Custom silk drapes with an accent band brought in a soft texture with calming colors. 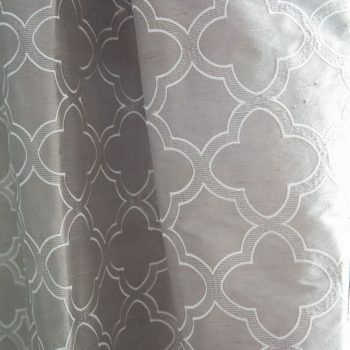 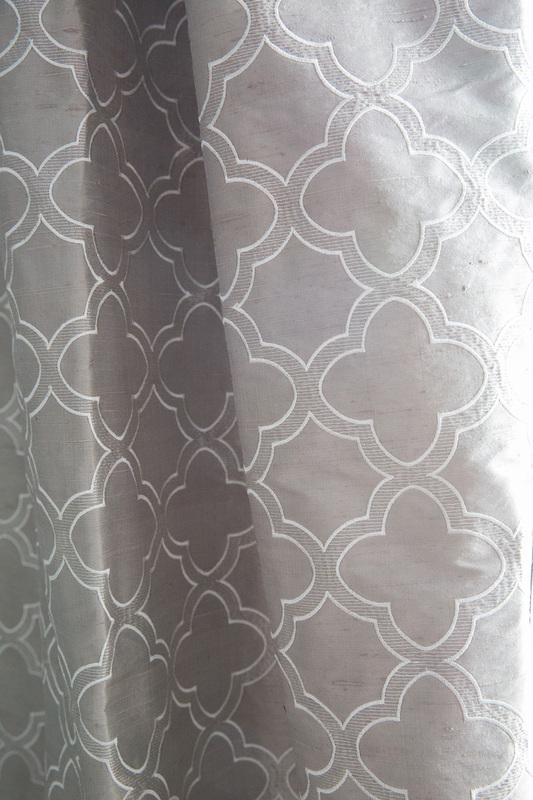 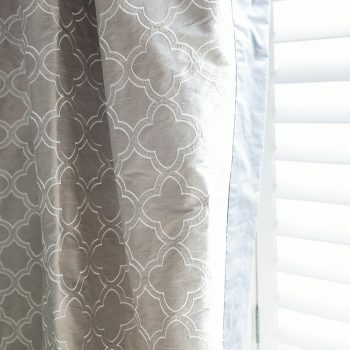 • The quatrefoil pattern in the drapes is repeated in the marble top side table. 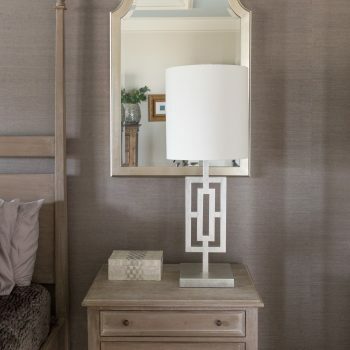 • A grasscloth wall covering behind the bed brought in texture and contrast. 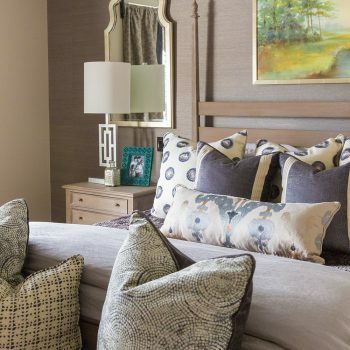 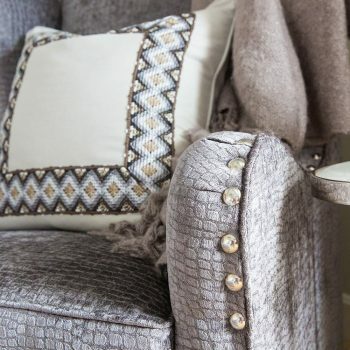 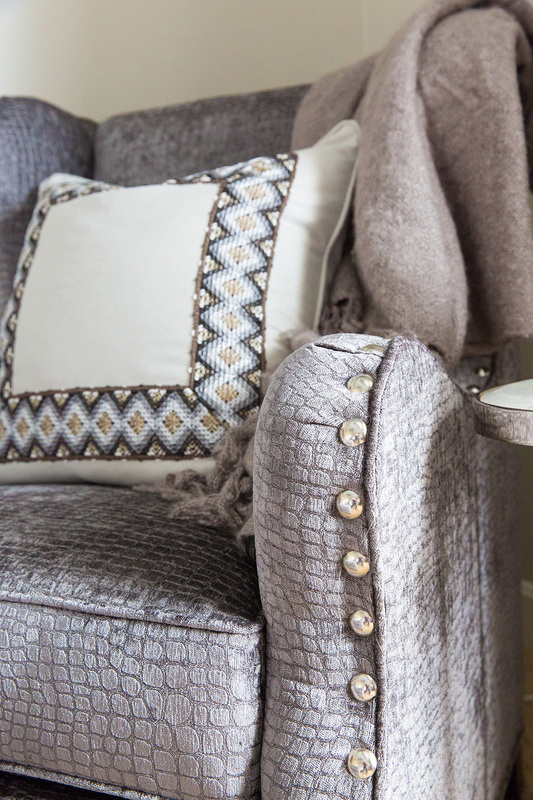 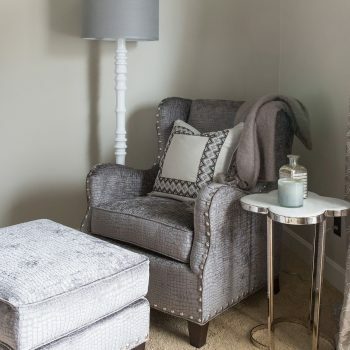 • A mix of textures are brought in through rustic wood tones, high gloss light fixtures, and velvety upholstery to create a perfect spot for relaxing. 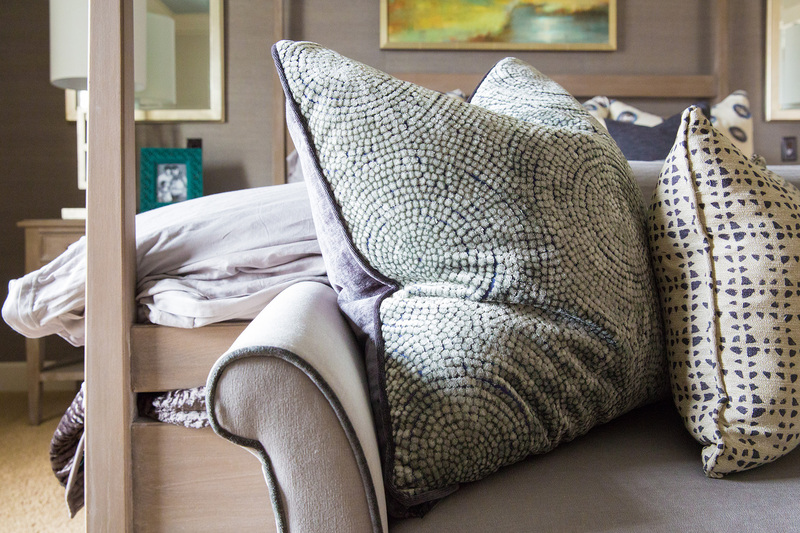 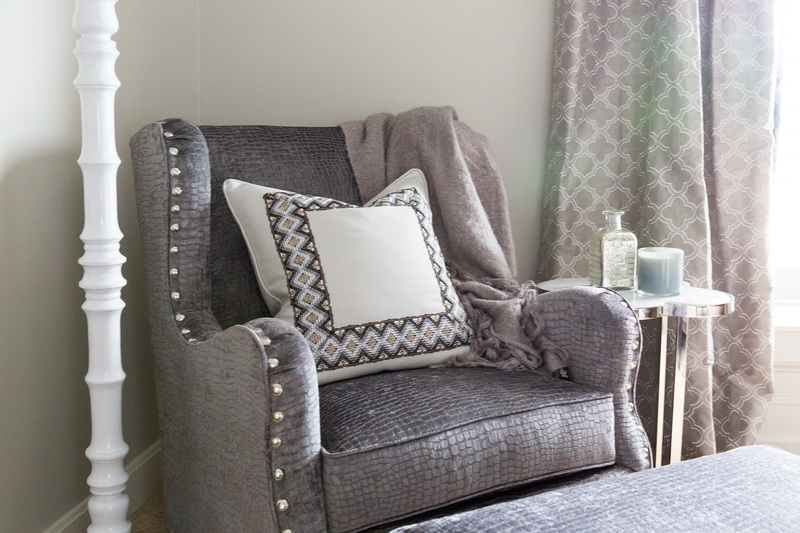 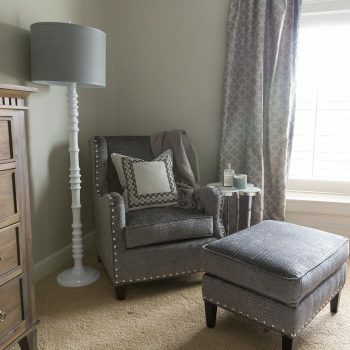 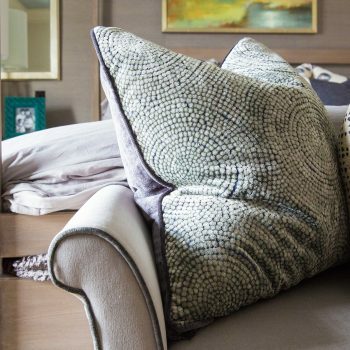 • Custom upholstered chair in a smokey velvet pattern brings a hint of luxury and glam to this bedroom. 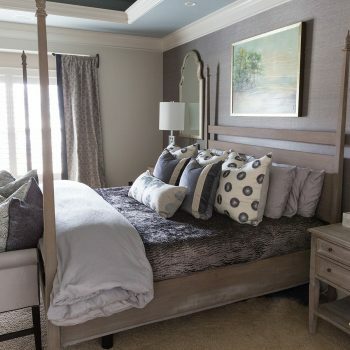 • The paint colors were inspired by the colors from the bedding. 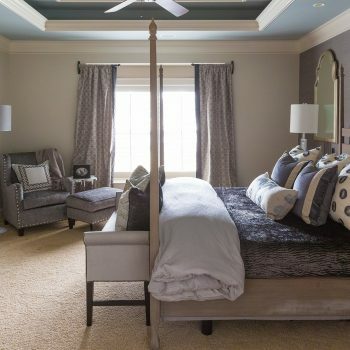 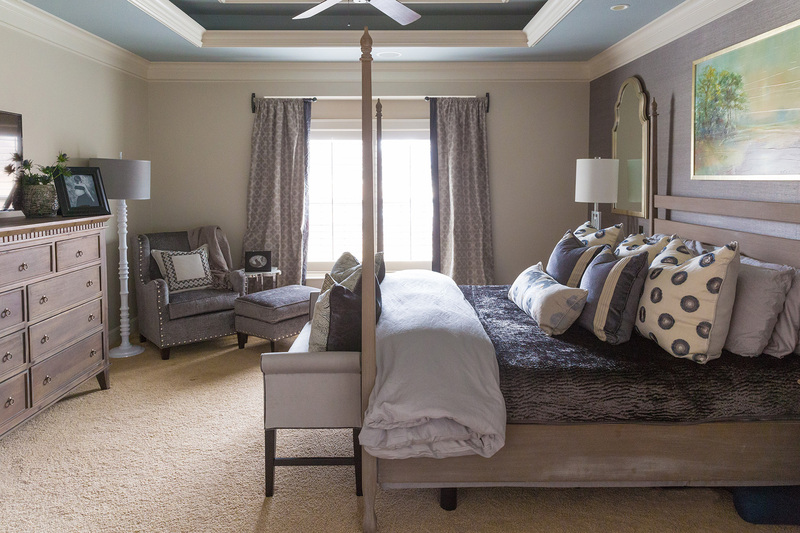 Soft grays and charcoal create a relaxing setting while the blue ceiling brings in interest and dimension. 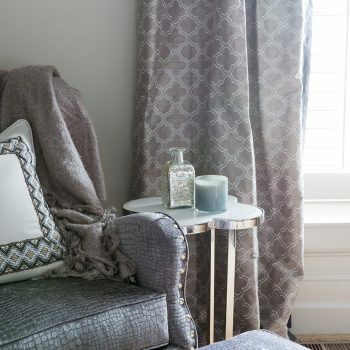 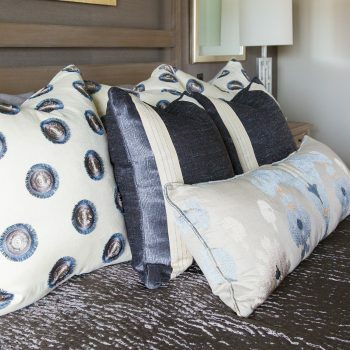 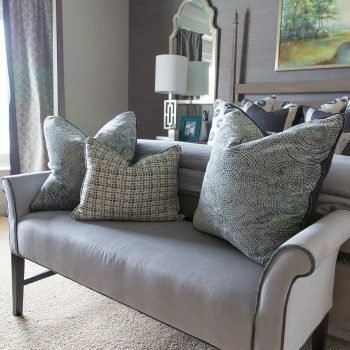 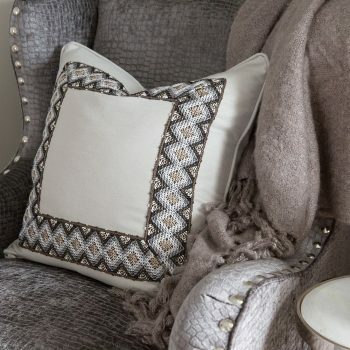 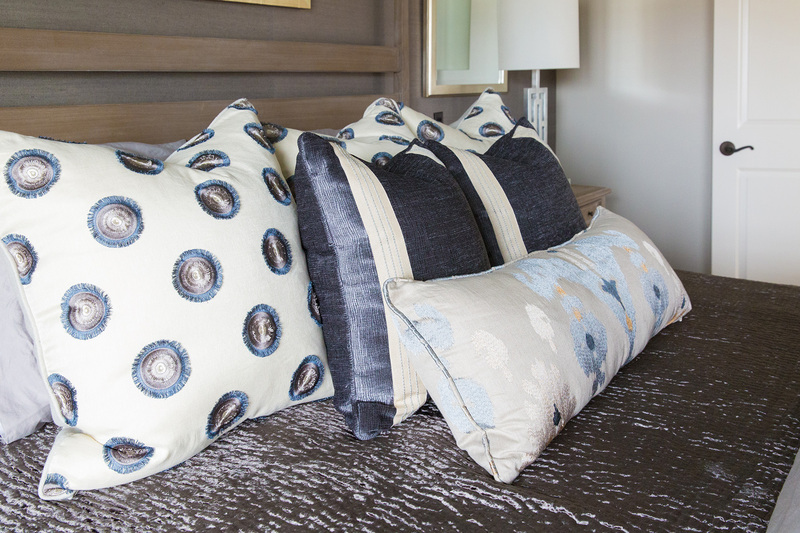 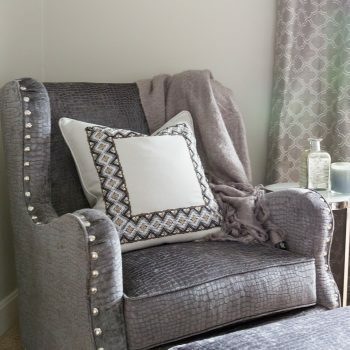 • A play with patterns continue on the bench pillows, providing another great spot for relaxation. 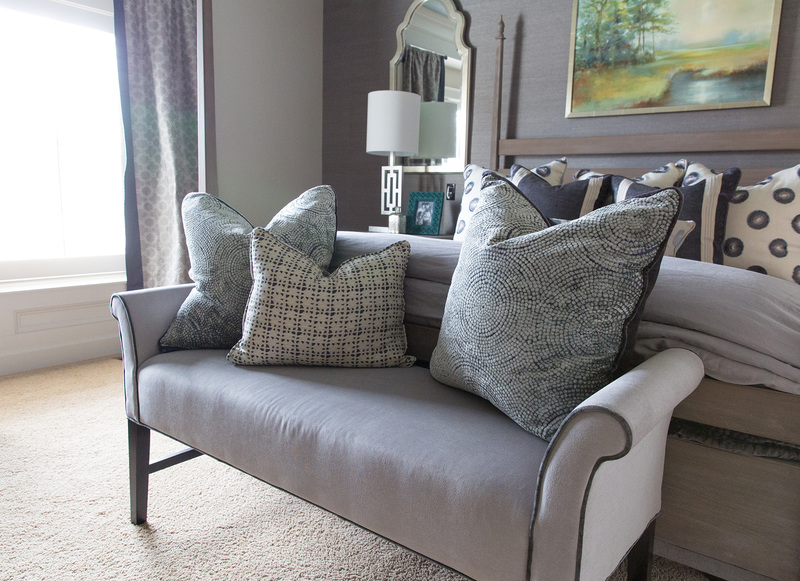 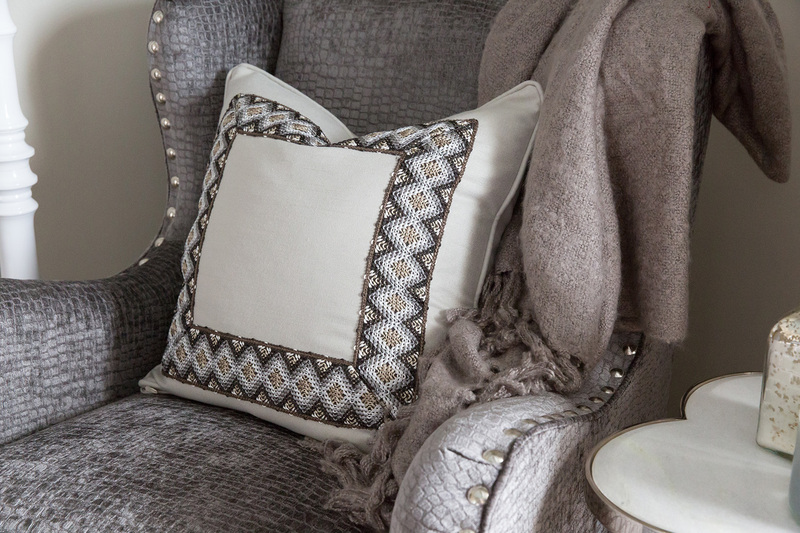 The custom upholstery with a contrasting welt detail brings interest and cohesiveness. 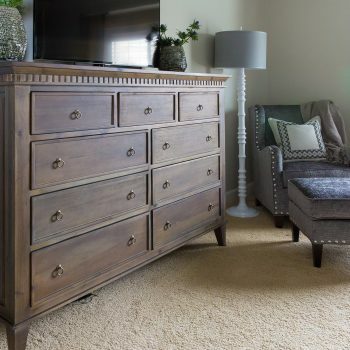 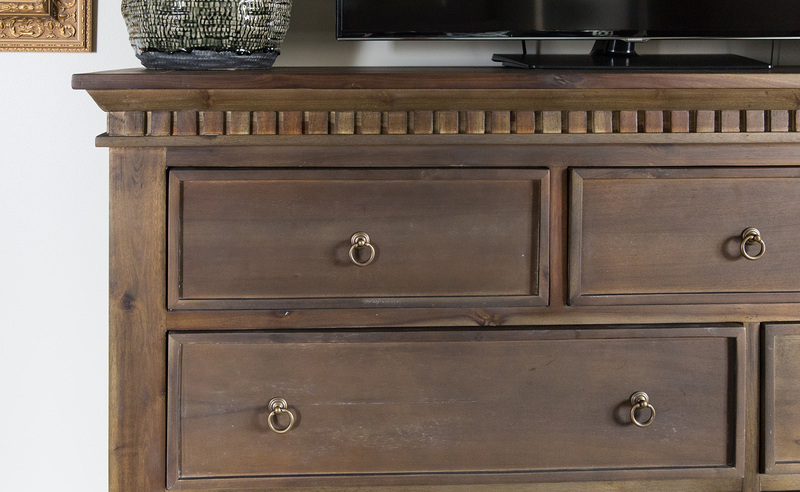 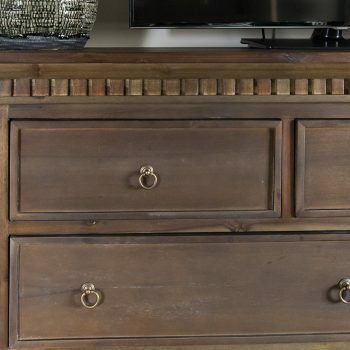 • The light finish of the dresser brings lots of storage without overwhelming the room.